An allover design of rose stems repeats across the ivory field of this supremely elegant antique Aubusson. 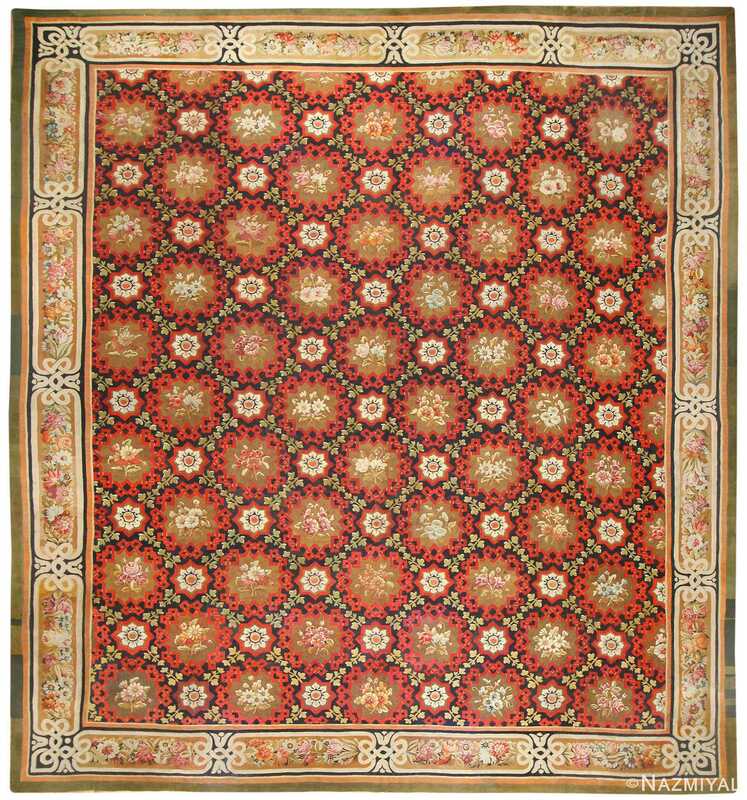 Beautiful Large Oversized Antique French Aubusson Carpet , Origin: France, Circa: Late 19th Century – Characterized by a highly representative Aubusson composition, this elegant and graceful antique carpet effectively showcases some of the finer aesthetic points of antique French rug designs. 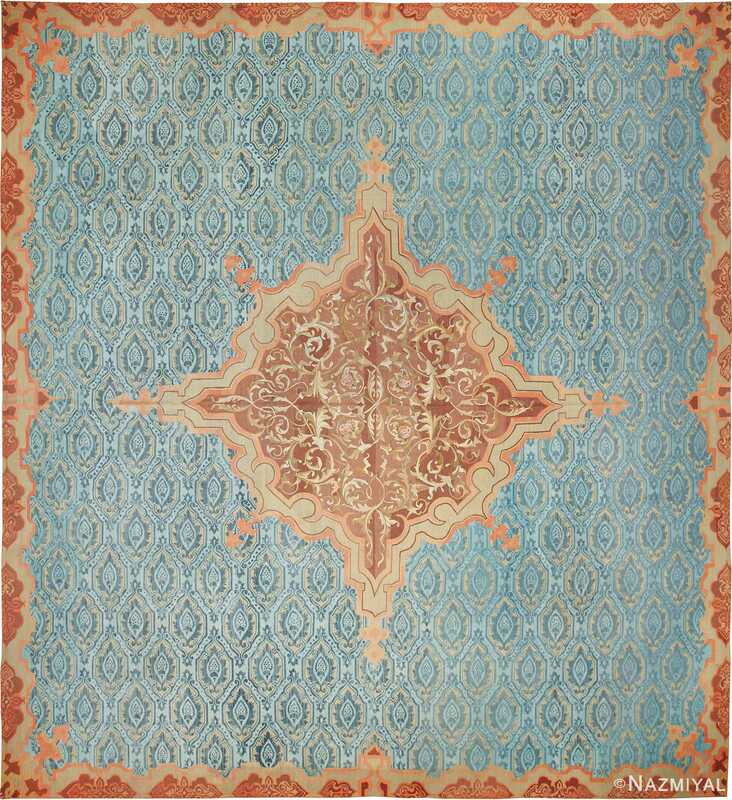 Among antique rugs that have a definitive and distinct western aesthetic, antique French Aubusson rugs and carpets are among the more important and more intriguing. An allover design of rose stems repeats across the ivory field of this supremely elegant antique Aubusson large oversized rug. The field itself is circumscribed by an enclosing cartouche, embellished further by a lattice and more rose stems. A magnificent undulating ivory border of delicate rococo scrolls and rose garlands frames the field, enclosed finally by a rich salmon edge-ground making the transition to the rectangular form of the antique French Aubusson carpet. 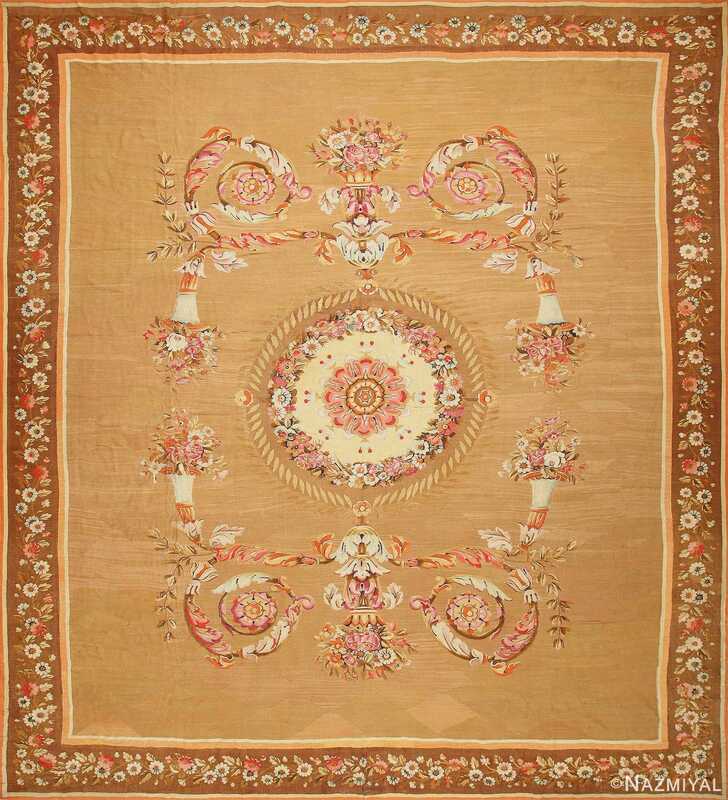 A beautiful example, this antique flat woven rug from late nineteenth century France is a comely creation that effectively communicates some of the more important elements of antique French Aubusson carpet designs.